Lujo is a RNA virus and a member of the Arenaviridae. The deadly virus was first described in 2009 during an outbreak of viral hemorrhagic fever in Zambia and its name was coined from the first two letters of the names of the cities it has been found, Lusaka and Johannesburg. In September and October 2008, five cases of undiagnosed hemorrhagic fever, four of them fatal, were recognized in South Africa after air transfer of a critically ill index case from Zambia. It is not clear how the first person became infected, but the deadly bug comes from a family of viruses found in rodents, according to Dr. Ian Lipkin, a Columbia University epidemiologist involved in the discovery. Most arenavirus infections are acquired by contact with infected rodent excreta, by inhalation of dust or aerosolized virus-containing particles, or ingestion of contaminated food. At least one arenavirus might be transmitted from bats, and this possibility should not be ruled out for Lujo virus. The index patient likely transmitted the infection to the four health care workers via aerosols or infected body fluids. Serum and tissue samples from victims were subjected to unbiased pyrosequencing, yielding multiple discrete sequence fragments that represented approximately 50% of a prototypic arenavirus genome. Phylogenetic analyses confirmed the presence of a new member of the family Arenaviridae, provisionally named Lujo virus (LUJV). It is distantly similar to the Lassa fever virus. 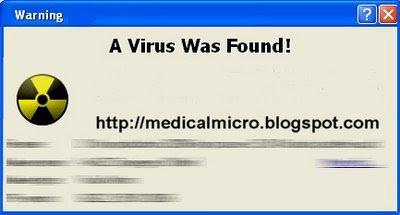 By this recent outbreak, the Viruses flaunt their potential once again thereby challenging the Mighty Humans…..